Perhaps you haven’t heard? All signs point to Nike exiting the activity tracker market, halting further development of its FuelBand hardware, and focusing on software instead. It’s not a surprising turn of events, so let’s explain what happened—briefly. Fitbit. Jawbone. Basis. Misfit. Fitbug. Withings. Garmin. Sony. Samsung. LG. Razer. HTC. Epson. Strivv. Moov. SYNC. LifeTrak. SparkPeople. Polar. Scosche. Sigma Sport. Spree Sports. Amiigo. Goqii. Angel Sensor. Bowflex. Soleus. FlyFit. GeoPalz. iHealth. Kiwi. Atlas Wearables. Lumo. PUSH. Suunto. Weight Watchers. Do you make—or intend to make—a wearable fitness tracker, but don’t appear in the list above? You may want to look at the list above, and ask yourself if you really want to add any more noise to the list above. iWatch, imminent. Tim Cook, powerful. Connect the dots. It turns out you can’t stick with your new fitness regimen, lazy bones. 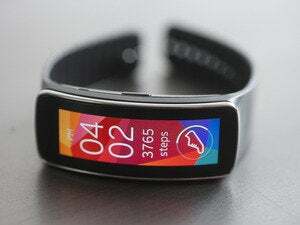 You buy fitness trackers, but don’t use them. 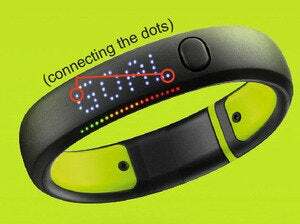 So Nike took its FuelBand and went home. Sometimes mediocre hardware just needs to die—and the FuelBand signed its own death sentence by ignoring Android and basing its entire premise on ill-conceived “Fuel points.” In an insanely crowded fitness tracker market that has yet to be validated by widespread consumer adoption, the FuelBand is ultimately untenable. So let it go. Let it slip quietly into the night. Thirty-six other contenders are waiting to take its place in the low-margin purgatory of hardware manufacturing. This story, "The 39 stunningly obvious reasons why Nike is exiting the wearables market" was originally published by TechHive.